Organizing your accessories can be a nightmare. I want to be able to see all my options at once, and they must be easily accessible. 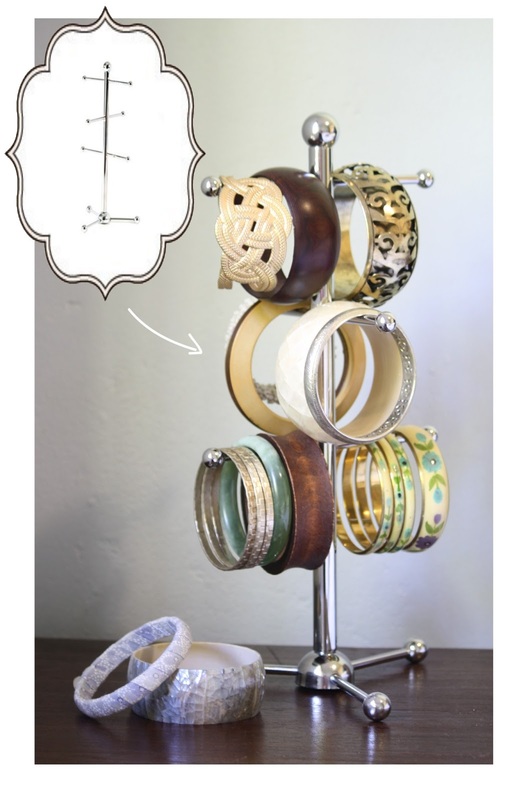 I saw a friend use one of these mug stands from Mr Price (R39.99) for her earrings and I couldn't resist buying one for all my bracelets.